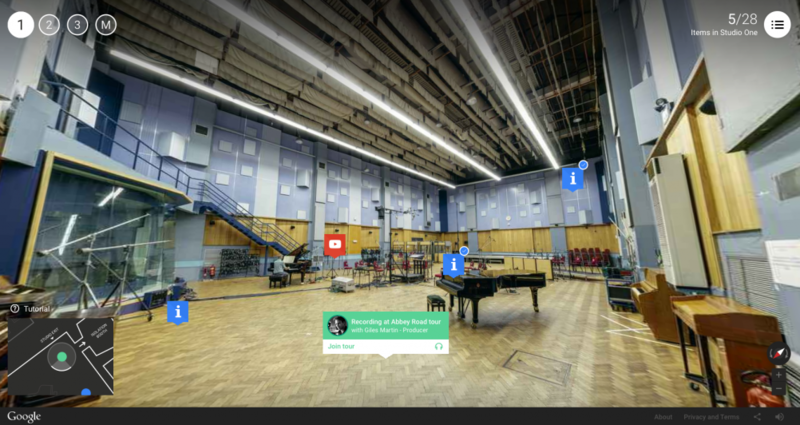 A site designed by Stinkdigital and Google allows visitors to tour the studios, learn about recording processes and recording artists, and even play around with the equipment. 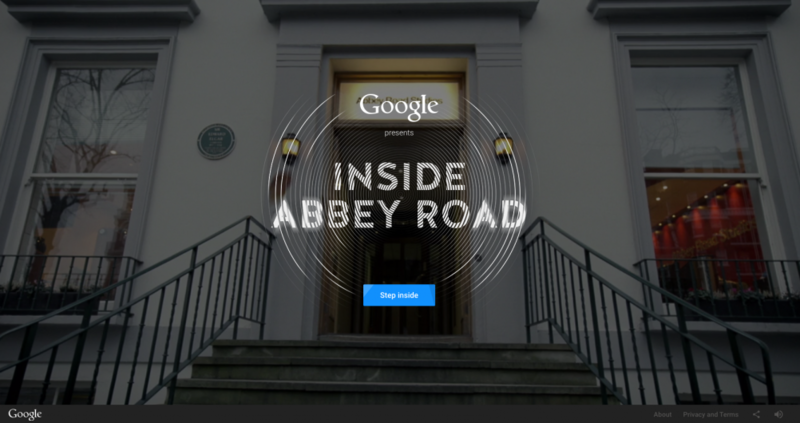 Stinkdigital has helped to design an online experience for Google, which takes people inside Abbey Road Studios and allows them to explore different parts of the complex, learn about its history and even try out equipment. The interactive site, optimised for computer, tablet and phone, allows visitors to unlock content as they travel around the studio or jump between three main studios and a mastering suite. 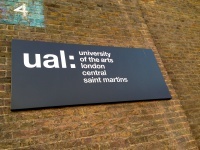 There are more than 150 different 360° panoramic images to explore from eye level, which visitors can “walk through” and by doing so reveal YouTube videos and archive images showing content including anything from Elgar and the London Symphony Orchestra recording in 1931 to Jay Z discussing his Magna Carta album with Zane Lowe. 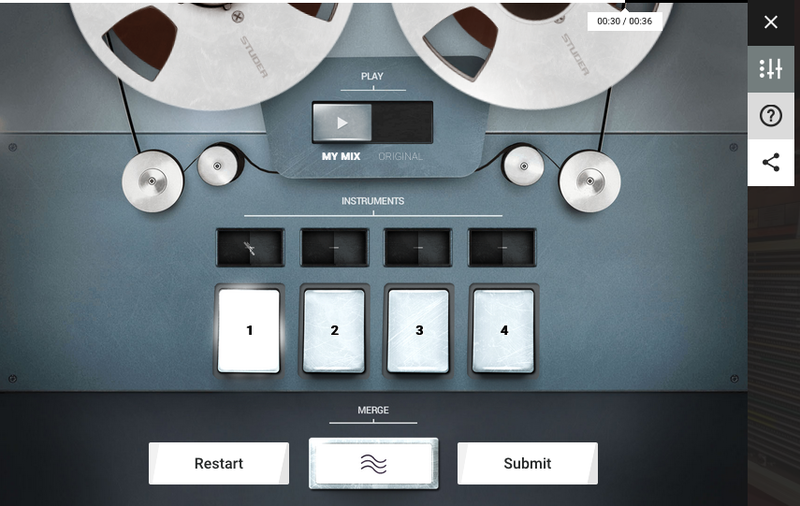 Interactive features include playing with the J37 4-track recorder that was used to record the Beatles’ Sargent Pepper’s Lonely Hearts Club Band and seeing how good you are at mixing a track. Other sections look to inform. This one shows how vinyl is cut and you can also find out about the likes of film scoring and browse a discography of famous records recorded in Studio Two. Another way to navigate the site is to take a guided tour, hosted by either producer Giles Martin, head of audio products Mirek Stiles, or DJ and presenter Lauren Laverne. Last month Abbey Road unveiled a new identity, designed by Form, which takes inspiration from the famous Beatles album of the same name.